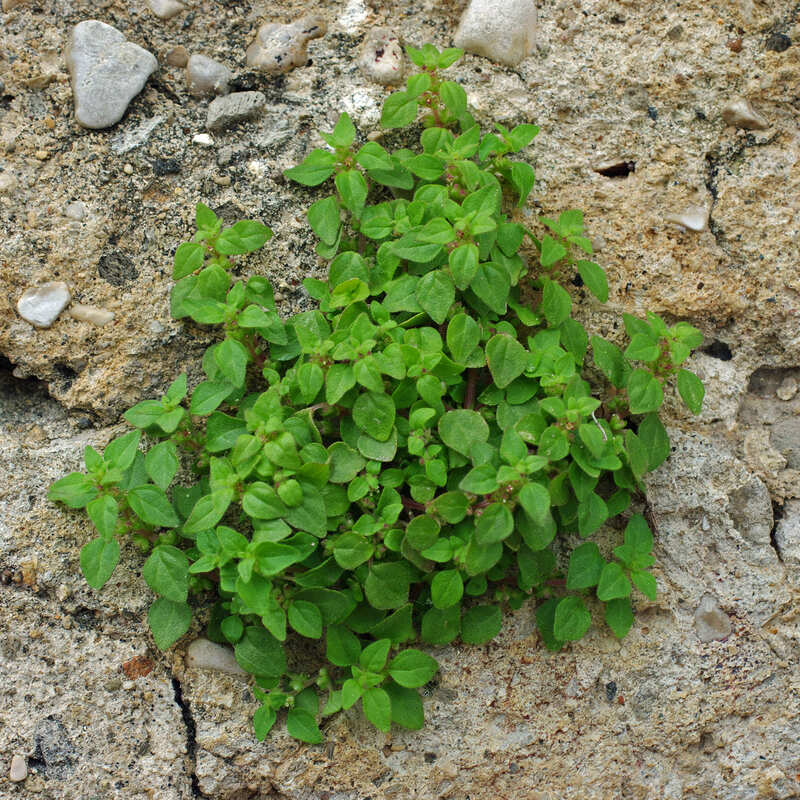 Chickweed was once a popular folk remedy for a number of ailments. Today, this European native has become a common lawn weed that challenges homeowners across much of North America. 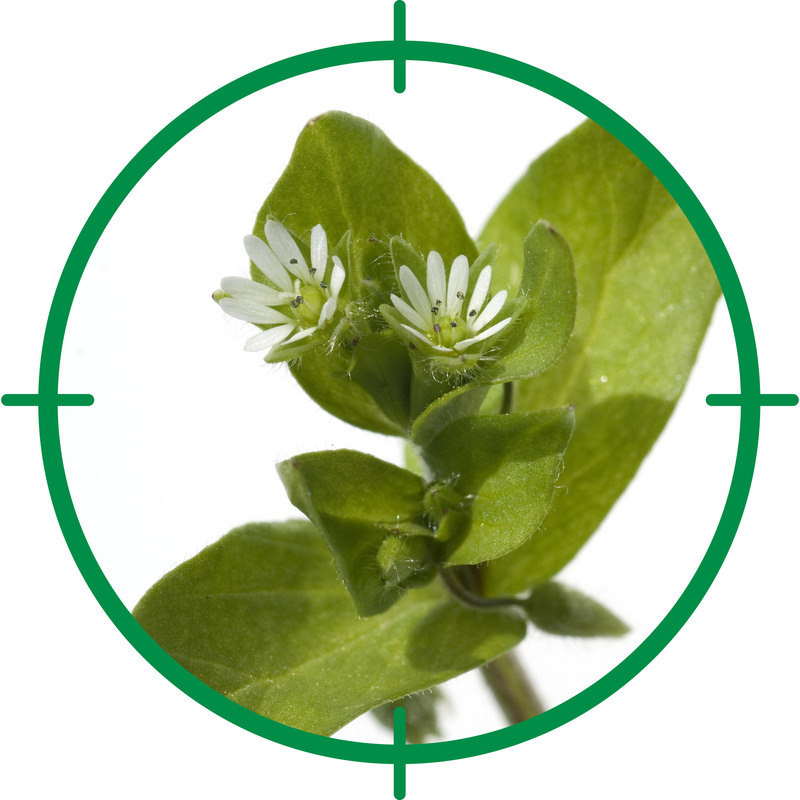 Chickweed displays small, pointy, egg-shaped leaves and a line of tiny hairs running along the length of the stems. Miniature, white, five-petaled flowers bloom throughout the growing season. 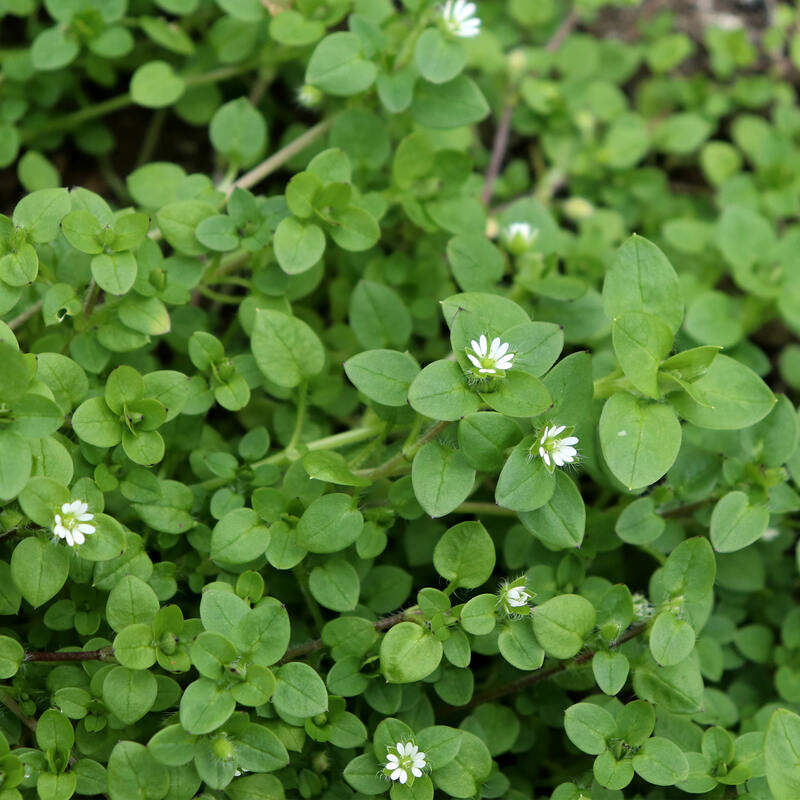 Although chickweed may be erect, it is most often sprawling, creating a thick mat of weeds. Although chickweed spreads from tiny roots that emerge from nodes on the stem, the primary means of reproduction is by seed. One plant can easily produce 600 to 1,500 seeds, which germinate in a very short time. Chickweed grows in all soil types, but it prefers cool weather and moist soil. Maintain a healthy lawn. Mow regularly. Water deeply but not too often. Avoid excessive fertilization, especially high-nitrogen fertilizer. Hand-pull chickweed in flowerbeds early in the season while the roots are still shallow and the plant hasn’t yet gone to seed. Pulling large chickweed plants isn’t usually effective because the plants are more likely to re-root and spread. After pulling, apply 2 inches (5 cm.) of mulch to discourage new seeds from germinating. Use a post-emergent killer if chickweed is already up and growing. Keep in mind that many post-emergent products are non-selective and will kill any plant it touches. Don’t apply post-emergent weed killers until new lawns have been mowed at least three times. Be sure to spray when the wind is calm and temps are under 90 F. (32 C.). Sometimes, spot-treating chickweed patches with a ready-to-use weed spray is the best way to go.